Dimensions 0.75 by 11.25 by 8.75 in. Amazon.com description: Product Description: Inside Design Now takes the pulse of American design in the new millennium, providing a fascinating tour of cutting-edge trends in architecture, interiors, landscape, fashion, graphics, and new media. 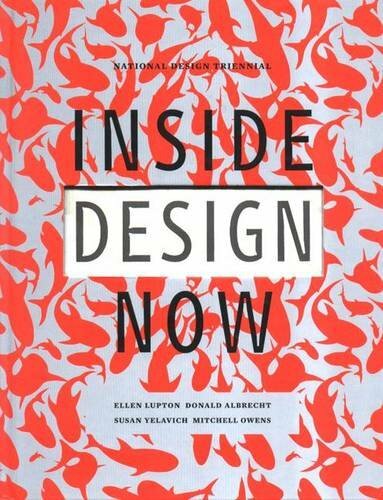 Featuring eighty emerging and established designers Ã¢ÂÂ including 2 x 4, Mike Mills, Peter Eisenman, Fuse Project, Tod Machover, Paula Scher, Jennifer Siegal, and Isaac Mizrahi Ã¢ÂÂ Inside Design Now illustrates the most innovative and provocative thinking in design today. Each designerÃ¢ÂÂs work is presented with a double-page spread and a series of full-color images. Essays explore the role of the designer in todayÃ¢ÂÂs culture, contemporary ideas of beauty and functionality, and what the future holds in the realm of design.